Sit and relax while you get a prompt Pick up from your hotel (all resorts) on a fully air-conditioned coach with an English speaking guide. Head to the famous and stunning marina of Puerto Calero. 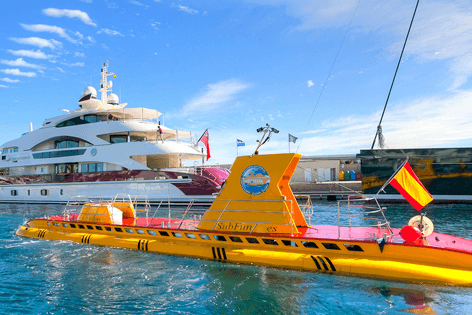 On arrival you will be checked in at the submarine Safaris Lanzarote office and shown a brief video about this incredible vessel you are about to go on. There are only 15 commercial submarines in the world so this is a once in a lifetime opportunity. 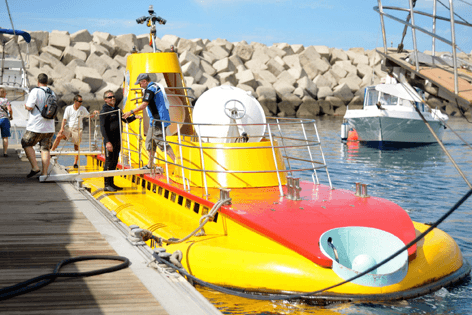 After the fifteen minute introduction with the professional staff of Submarine Lanzarote, your guide will take you to the yellow submarine where you will board and have your photo taken as a group, couple or on your own. 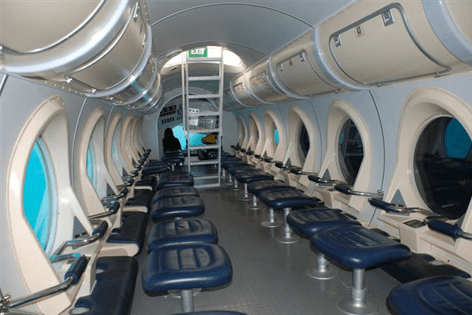 Once in the Submarine, you get your own huge viewing porthole and you can see on a small computer as the Lanzarote Submarine makes its descent to 30m below the water. On the way down you will immediately see marine life swimming past, there are so many varieties of fish to see. You will pass two shipwrecks teeming with different creatures. Once you arrive 30m you touch down on the bed of the ocean you can see all the marine life at your window. On many occasions, the giant stingray Wannita arrives and if you are lucky enough to see her it makes this already magical experience truly unforgettable. You are under the water for around 45 minutes the whole experience is about one hour, once back at the marina you will visit the office once again to collect your free certificate and have the chance to purchase the souvenir photo. 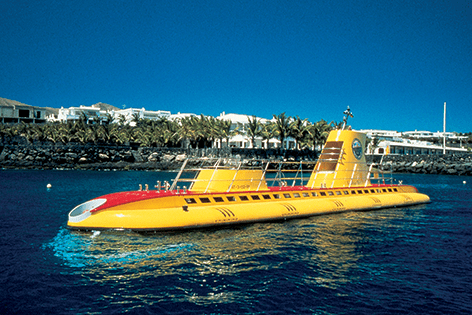 You will get around 30 minutes of free time in Puerto Calero to have a good look around there are a lot more amazing things Like the Lanzarote Submarine here, before the coach picks you back up and takes you back to your resort. Not suitable for people with walking disabilities as you will need to go down a small ladder to enter the submarine. Recommendation children have to be 2 years and above.